21+ copies = $15 each. 101+ copies = $12 each. 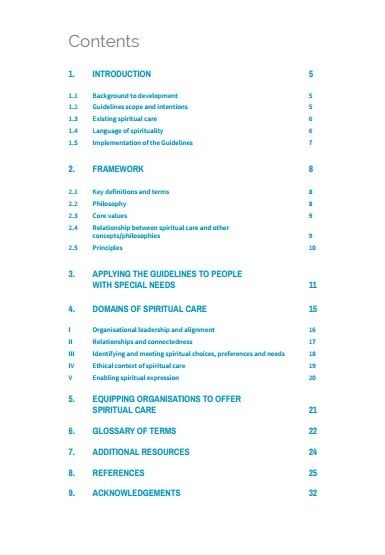 A free digital copy of the National Guidelines for Spiritual Care in Aged Care is also available. An extensive search of the academic and ‘grey’ literature indicated that no guidelines were available that specifically related to spiritual care for older people living in residential aged care or receiving care and support at home. This gap led to a successful funding application through the Australian Government Department of Social Services (later changed to the Department of Health) to develop National Guidelines for Spiritual Care in Aged Care. As spirituality is integral to quality of life and well-being, it should be accessible to all older people in way that is meaningful to their beliefs, culture and circumstances. The identification of spiritual needs and offering of spiritual care is the responsibility of all care-givers and must be undertaken in ways that are appropriate to their role. • The Guidelines were subjected to technical review and critical analysis prior to publication. The Guidelines were officially launched on 9 August 2016 by Nick Ryan, CEO of the Australian Aged Care Quality Agency. These documents were created as part of the National Guidelines for Spiritual Care in Aged Care project. Meaningful Ageing Australia offers a support and education service to members who would like assistance with implementation. Contact our office for more information. This resource is freely available to download by clicking here. 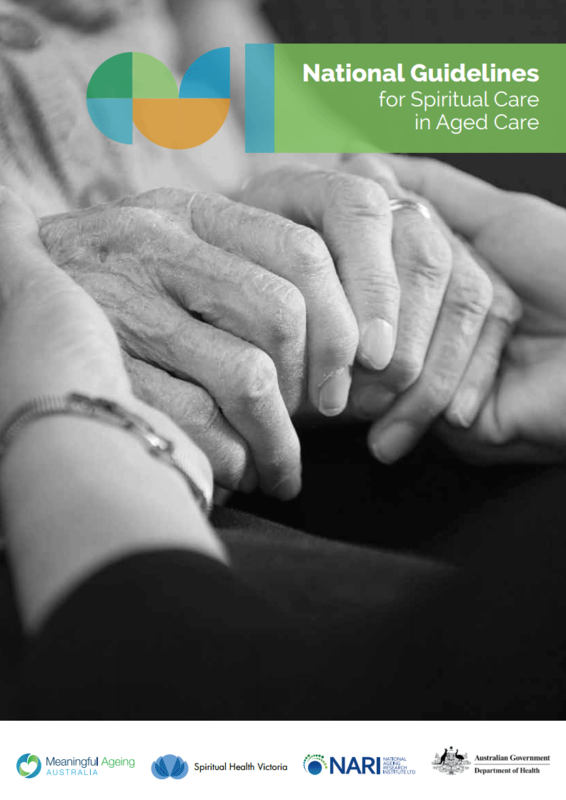 Printed copies of the National Guidelines for Spiritual Care in Aged Care are also available to order.